The Material Handling Omni 2.6" brings heavy-duty rigging to the Omni family with a Working Load Limit (WLL) of 4,500 lbs. In addition to the large 2.6" sheave, the MHP55 features a prusik minding sideplate and push-button access to open the sideplate to install rope. 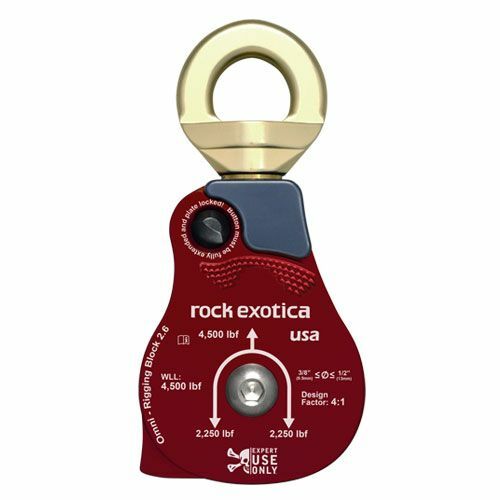 Whether used in a hoisting system with a capstan winch or in general industrial rigging, this rigging block provides a high-strength and lightweight solution needed for tower climbers and industrial riggers.